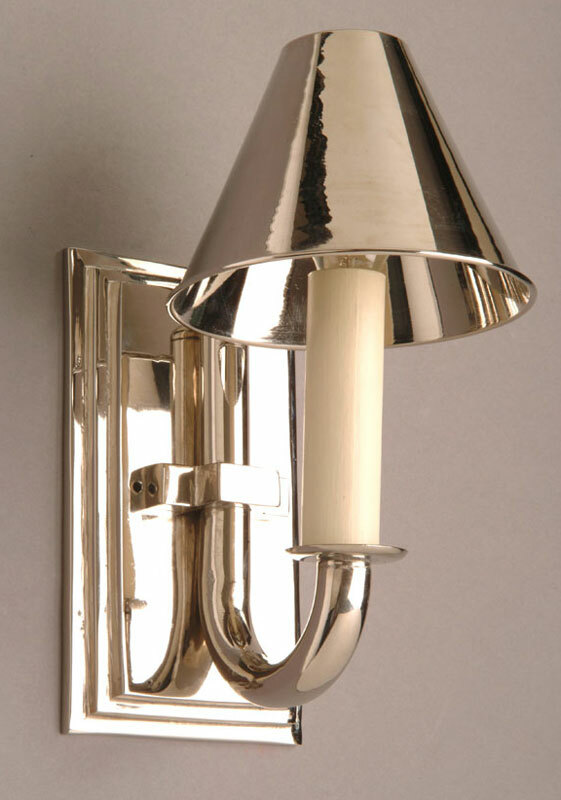 A beautiful polished nickel solid brass single wall light. Chunky look oblong wall mount with bevelled edges and curved brass arm, supplied with a nickel cowl shade. The reflection that this wall lamp gives is a warming sophisticated ambient light. Made from solid brass and then plated with nickel and polished to a mirror finish. This lovely replica picture light just needs a wipe over with a damp cloth from time to time to maintain its lovely finish. From our period nickel-plated handmade wall light selection. Timeless replica lighting made to last a lifetime. Each nickel-plated wall light is handmade making every one unique. As these are made to order, please allow 4 weeks for your delivery.